Nina & Jerry are also available at Corporate and Private parties. Please contact Nina if you wish to book. 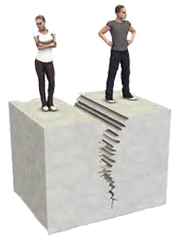 Are your relationships not Harmonious? Is your business not busy? Nina has qualified as a Geopathic Stress Consultant. This service is Uniquely delivered by Nina incorporating her Intuitive Psychic & Clairvoyant gifts combined with the Science of Geopathic Stress. 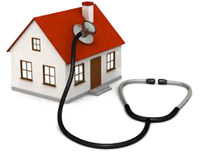 The work is carried out remotely using ground floor plans of your domestic or business property. If you would like Nina to find the root cause of your problems and create a resolution please contact Nina for further details. It doesn't have to end this way. contact Nina for further details. Nina & Jerry after much deliberation have made the decision to withdraw from the MBS Circuit with the Aura Camera. Nina After 16 years of attending all the main MBS Shows as a full time Aura Camera professional, Nina has decided to concentrate on our C-CARA Natural Healing Therapy. We will be offering the AVS Aura Camera System, just not at MBS Shows. 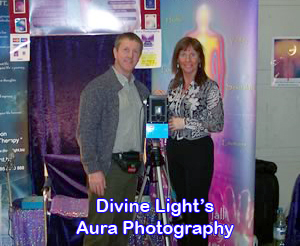 We will still travel around the UK offering our Aura Camera and various Traning workshops to Group Leaders & Trainers for your specific groups. (Please contact for available dates and prices). You can also arrange to visit us in Newcastle upon Tyne where we have 3 purpose built Therapy rooms to have Aura Photography, C-CARA Healing, Light - Sound & Colour Healing . Past Life Regression, Karmic Clearing, Hypnotherapy, Astrology, Emotional Release Therapies & much more. We have different Half day & Full day Pamper packages to offer for 1 - 3 people. Visit us soon to put your Life back on Track and Awaken to Your Life's Mission & Purpose in 2019. We look forward to meeting and working with our old Clients and New in 2019. We are also introducing a NEW & Amazing The Zero Point Energy "Magic Pain Relieving Wand".. (This FULL Spectrum Wand is much improved from the one introduced in 2010). We have now had Amazing success with 987+ people in Chronic Pain with these "Magical" Wands Click HERE For more details & order information. You wil be very glad that you did. Dates and venues are subject to change, so please check this website regularly or contact Nina on: 07951 310 888 to avoid disappointment. PLEASE NOTE: The Special Announcement above Regarding THE 2019 EVENTS DATES Thank you for your understanding. If you are one of our many loyal followers, do not despair, we are still appearing around the UK in 2019 with our Aura Camera. Just not at BSSK or associated events. Please check the updated dates and venues below (When confirmed) where we will be appearing at.